Are you thinking about creating a blog? Do you need work, money or exposure? Do you like writing or do you have a passion? Today we are going to talk about some benefits of having an internet blog reading which you cannot stay away from running to create one for yourself. As you know I have already been blogging for years now on programming, web development, marketing, seo, technology and other topics that I love. That’s precisely why I’m going to talk about benefits of blogging in a bit so that you can create your own and be blogging buddy! If you have any passion in your life then you understand me perfectly, you cannot stop talking about it and there is no day that you do not think about that activity that moves your life. In my case, I’m passionate about everything that has to do with computing, programming, web development, SEO, marketing, electronics, technology, etc. I just cannot stop writing my blog on these topics. As well as I am sure that you have something special that you are passionate about in life and that you would die of being talking and talking for hours.. can be traveling, cooking, some sport like football, etc. whatever your passion is a blog is an excellent option to get all that you bring in and get to connect with people like you. One of the benefits of having a blog is that if your passion is a noble or altruistic cause then with a blog you can achieve that change, make a difference. With a blog, you can create awareness and support your cause much easier than if you do it without one, you can reach the right people and start making a small big change for your purpose, I’ve seen several examples of this long of my short life as a blogger, trust me. It is even a way to get support more directly including a donation button via PayPal or another payment platform. With your blog on the Internet you can easily share knowledge with other people who are looking to learn something that you already know or dominate. In my case I regularly share (because I’m passionate about what I do) free content on the topics I learn every day, I even have a blog where I can help people solve their doubts. In your case, you can share about any topic that you think you can help other people, is a great way to connect with people in your sector and over time. become an authority in your sector. Something that you probably do not consider but that assures you that you are going to have among the benefits of having a blog on the Internet is to improve your writing skills, whether or not you are going to learn it! Sometimes without realizing it. In my case when I started writing on the Internet I did with some spelling and grammar mistakes and it took me centuries to finish a post, today I can write a complete post in 30 minutes, sometimes a couple of hours or a little more obviously depending on complexity of it but an abysmal difference from my beginnings. If you want to improve your writing, spelling, grammar, language skills and typing time then having a blog will be very beneficial for you. One of the best benefits of having a blog that most people questions me is if it is possible to make money with it. With all the assurance of the world I can answer with a resounding YES, YOU CAN MAKE MONEY WITH A BLOG! In these 4 years, even much less since it does not begin to monetize immediately, I have made enough money thanks to blogging, a part directly form blog (from affiliates, sponsorships and direct publicity) and other indirectly by selling services thanks to clients I scored with the help of blog by working on project remotely as well as full-time jobs, a blog is an excellent CV! Having a blog on the Internet will open you up to a world where you can generate money while you are sleeping or traveling, it is obviously not easy but once you start to get it is very rewarding. Another benefit that I appreciate to have my blog is that it has allowed me to create a professional network of colleagues with the same passions as me. And is that meeting people with whom you share a lot in common on the part of the blogging world where you start to see who else is doing what you do, learn a lot, learn from you and finally create a professional relationship and why not. many times, of friendship. 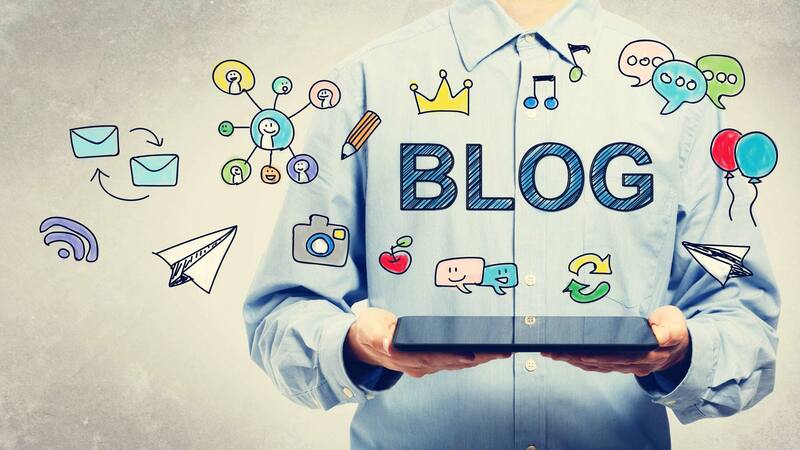 This professional network will help you throughout your professional life and I assure you that it will be the aspects that most thank your blog. As I said before, having a blog offers you the benefit of being able to promote and sell your services, having a portfolio in it allows you to show what you know how to do to people and they will be in charge of finding you to buy your services. Apart from the blog you can create a personalized page of your services like this (Do My Programming Homework – GeeksProgramming) where you speak in a more professional way than you know how to do and even put a fair and fixed price. In my experience with GeeksProgramming blog I have received hundreds of offers in which they want my professional services, do not miss the opportunities for not having a blog. Having a website on the Internet will inevitably (unless you do it very badly) you will have traffic and visitors of people interested in what you do or write, this undoubtedly opens the possibility to many things you want to do. Imagine that you write about food in New York and that you have enough traffic for those interested in knowing what you are saying or write, imagine that it is a physical place where you are talking to people who go to eat in New York. Can you imagine everything you could do with this? You have the power over all the people who come to your blog to tell or recommend them where to go to eat! You could even make a profit on your recommendations or recommend a place of yours. The exposure on the Internet is so valuable that you have to understand what the visibility really means, you can even create a YouTube channel and make a video blog to achieve even greater visibility. If you are passionate about your topic, regularly write quality content and receive enough monthly traffic then you will sooner or later you become an authority in your industry. It does not matter if you talk about cars, programming, sponge bob, etc. you will be considered as an authority of that theme and you will be searched and recommended thanks to your blog. In my experience having a programming blog has opened the doors to many fantastic opportunities to be considered as a person who knows and has experience of my subject, I have even written for major brands on topics in my sector (fairly well paid by the way). If you offer services or products then you have no excuse not to have a professional blog and share content related to it. Did you know that even big companies’ websites strive to create a blog? This is why a blog is an excellent tool to bring interested people to your website where you can sell your services or products. The recipe is simple, write about what you do, about the last job you’ve done, publish your work and the right people will come to you to offer you that job offer you want, to offer you temporary work through a project, etc. If these benefits of having an internet blog have already convinced you, let me congratulate you and welcome you to the blogging community. I hope these benefits of having a blog on the Internet were to your liking, if you like you can share this post in your social networks and do not forget to follow me and social network for more content like this.